Increasing physical activity in schools is vital in helping to encourage a healthy lifestyle and a feeling of overall well-being that young ones can take with them well into their adult years. According to the UK Government, physical activity not only enhances the body’s health but also mental wellbeing, including raised levels of positive self-esteem and lowered levels of anxiety and stress. In addition, there is also an emerging association with academic achievement from regular physical exercise, improved concentration and attention. It is recommended that all children and young people should minimise the amount of time spent being sedentary for extended periods. Instead, they should have at least 60 minutes of moderate to vigorous intensity physical activity every day, incorporating muscle-strengthening activities on at least three days a week.. However, worryingly, only two in ten children aged 5-15 meet the government recommendations for physical activity – in percentages that’s only 21% of boys and only 16% of girls. With obesity on the rise and the associated health problems, the issue appears to be worst in primary schools and this is why increasing physical activity in schools is so important. A great way to achieve this is by making physical activity fun – another example of learning through play. A shake-up, Daily Mile or Trim Trail, set up in the school grounds, is a perfect way to get children excited about exercise and can enable teaching to be less sedentary with more lessons carried out outdoors. The Trim Trail involves a series of challenges which aim to increase physical activity and improve areas such as balance, stability and motor skills. It might include a suspension bridge, climbing wall, monkey bars, stepping stones, balance beam, net climb and all sorts of other challenging activities that kids love to get involved in. And it’s not just PE lessons where a Trim Trail can come in useful. Imagine re-enacting a scene from a historic battle, or in maths, timing how long each child takes to finish the course or let them measure the length of the equipment. Or how about athletics for your school? A Trim Trail is ideal as an alternative to ball games and the circuit can be installed around grass pitches to provide more demanding play leading to measurable progress as part of the National Curriculum. The installation of a long jump pit is also another low-cost solution which can bring the element of fun and competition into your outdoor sporting activities. You might be surprised at how easy and stress-free one is to install. 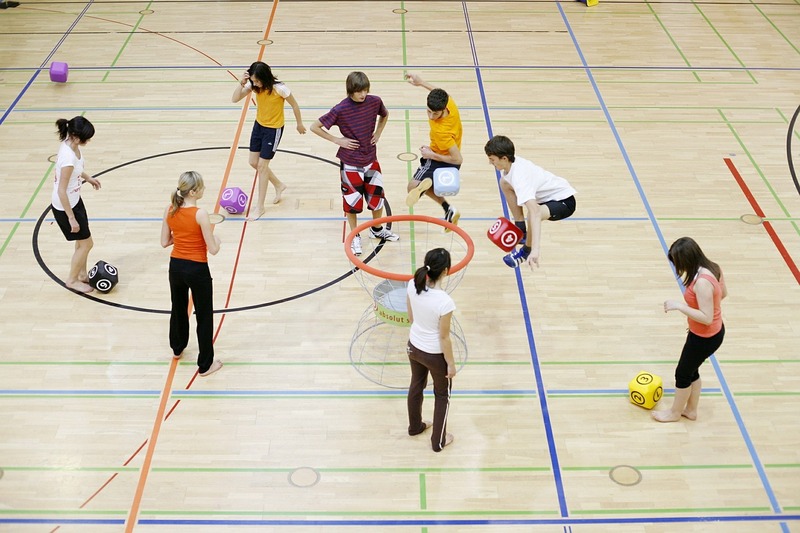 If you are looking to increase physical activity in your school, then find out more about these exciting solutions. Our professional Trim Trail and long jump pit installers can give you a fast, competitive quotation when you use our contact form. Get in touch today for further details. This entry was posted in Healthy Lifestyle on 31st July 2018 by Chris Campbell.